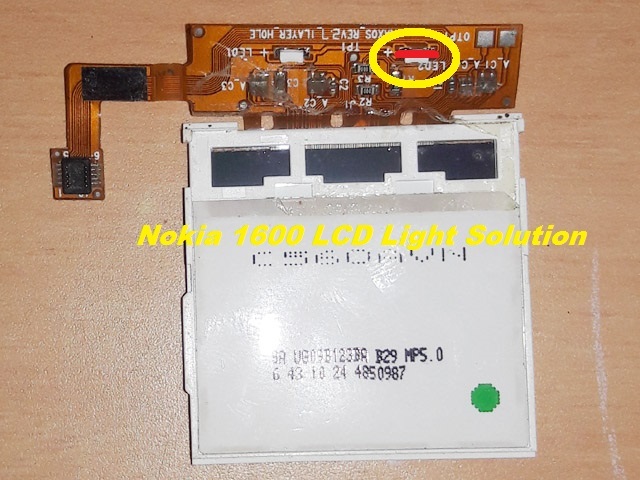 Nokia 1600 LCD light ways, light jumper or light solution here. This trick is working on Nokia 1600 both B&W LCD and colour LCD, for colour LCD you need to short one led in the LCD, you can see the 1600 LCD image below. 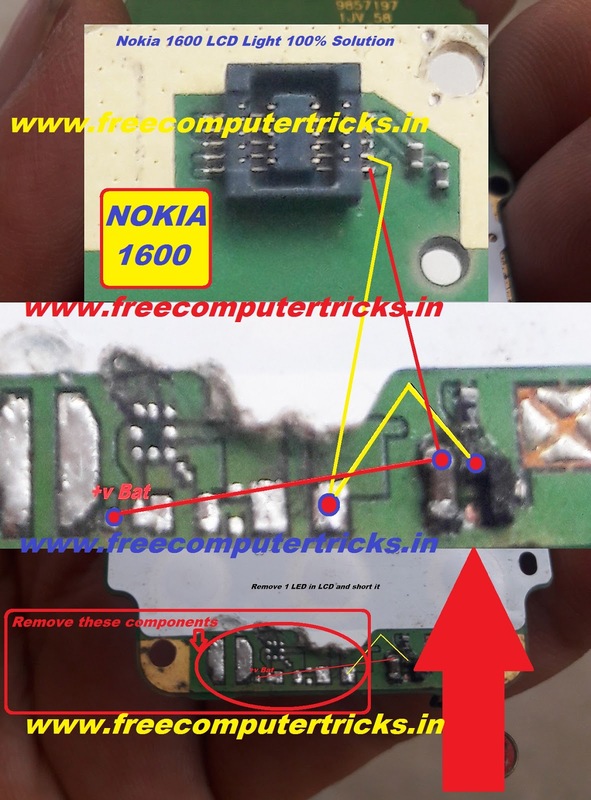 See the below image for Nokia 1600 LCD light solution and apply jumper as shown in the image. As you see in the above image, short the LED in colour LCD and the trick will work fine and this solution is tested and working fine.